Now that the dust has settled after last week’s announcement from EMC, we can have a look at what the market is offering for 100% flash storage from primary vendors. The approaches differ a lot from one to the other, and some are still struggling with reshuffled products that can hardly be compared with others… but, that said, I’m going to list (in strict alphabetical order) all the primary vendors and their solutions to give the reader a very brief idea of what is happening. Dell’s flagship storage system is Compellent. The latest version of the controllers has recently received a firmware upgrade and it’s now tweaked to cope with SSDs, also thanks to a better usage of all CPU cores and RAM (64 bits perform miracles). Unfortunately, the excellent automated tiering mechanism that contributed to Compellent’s fortune doesn’t have the same advantages in a full SSD system (even if you use SLC as first tier and MLC as the second). Also, the backend shows potential bottlenecks. Compellent full-SSD is a “good enough” storage system for those mid-sized customers that have already spent money on Compellent systems and need some more IOPS (but not too many!). 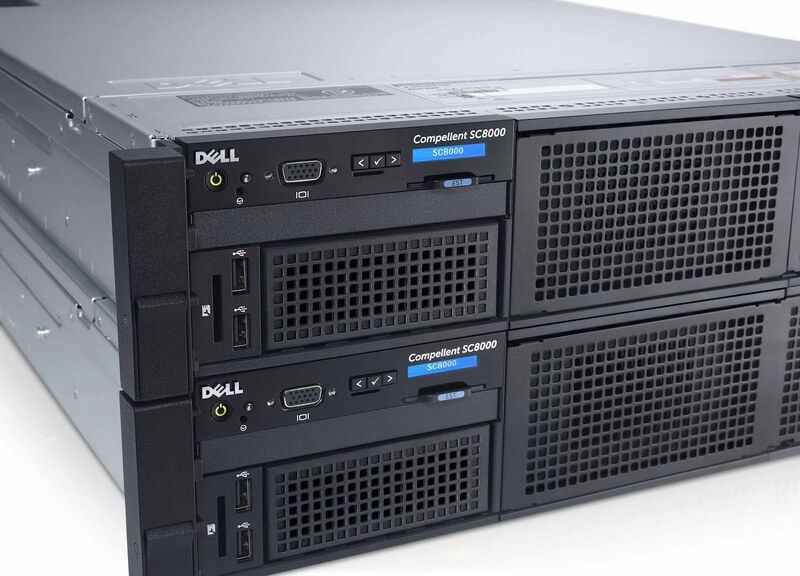 Compellent is still a great hybrid solution, well suited for the mid sized end users, but Dell should think about acquiring a real 100% flash company if it wants to seriously compete in this segment of the market. 2) they are showing their customers that they are seriously working on it, before losing too many of them to the new aggressive entrants. EMC also has a 100% SSD VNX, but my evaluation is very similar to what I’ve already said about Dell’s Compellent. I’ve never heard of a 100% SSD VMAX but it’s probably because it doesn’t make any sense at all. Don’t get me wrong but I tend not to consider IBM as a pure storage player. Most of IBM storage customers haven’t bought IBM storage for technical reasons but because it’s part of a project or a complete solution. The only real 100% flash product comes from the acquisition of TMS a while ago. This is a very niche product: fast like hell but totally featureless. IBM strongly suggests to use TMS with SVC if you want capabilities/features like thin provisioning, snapshots or remote replica (!!!) but that sounds more like a joke that a real solution. Then there are the V7000, XIV and DS8000: none of these were initially designed for flash, flash was added like a patch as a cache expansion or tier. HDS took the simpler approach, and did it very well. They designed a new hardware (a flash module and its tray) that can be used with existing VSPs and HUS-VMs. In practice the end user can order a 100% SSD system (like the HUS-VM full flash) or add SSDs to existing systems. The SSD tray is very dense (it supports 3.2TB flash modules now). The benefits of this approach are not found in the performance (even if HDS claims 1.2M IOPS for the bigger configuration) or in the price (which could be high in the case of VSP but surely more reasonable for the HUS-VM) but in the the actual investment protection and ROI. In fact, if you already are a VSP/HUS-VM user, the adopting flash simply entails the installation of a new SSD tray (with no service disruption) and transferring data volumes on it (or/and use the automated tiering feature). Even if the customer opts for a new 100% SSD system it’s possible to migrate data and use the same identical management tools that they are currently using on the non-SSD equipped models. In one word: seamless. The only down side about HDS comes from HUS mid-range family of arrays, this product has a very old design and adding SSDs to these arrays has few benefits (and a 100% SSD configuration doesn’t make sense), I hope that things change when the next generation of this product will be introduced. Looking at HP 3PAR I can, more or less, make the same observations as per HDS. The product has recently received a series of optimizations and now it is possible to order a full flash model or add SSDs to older models. The main difference is that HP did on software what HDS did on the hardware side: they do not have specialized flash modules but they updated the firmware to better organize writes and garbage collection and take advantage of the internal ASICs. The performance of the single full flash system is not top-of-the-notch (but no worries it’s much more than what you need: we are talking about more than 500K IOPS at .7ms latency for high end configurations!). In any case, there is no doubt that 3PAR federation capabilities and easy to use GUI makes the systems very appealing (even if you aren’t a 3PAR customer yet). Also in this case migrations from 3PAR to 3PAR are seamless and without service disruption, providing best-in-class ROI and TCO. If you want 100% SSD from NetApp you can have a EF550, that’s all. A very traditional (LSI) box full of SSDs without any of the features that you love from ONTAP based products, no SnapManagers, nothing! The “real” full flash product (codename flashray) is still in development and no one really knows its characteristics… NetApp is a very late comer to this party and I hope that when they finally appear it will be with fireworks! On their traditional FAS family it is (was?) possibile to order 100% SSD trays but the overall inefficiencies of the ONTAP/WAFL regarding SSDs management makes this solution really useless. There are other SSD options for FAS filers (like Flash Cache and Flash pools) but they are all in the hybrid space and don’t count for this post. SSD is becoming part of almost every storage infrastructure design out there. The market is evolving quickly and to have a complete picture of what is happening is quite difficult, especially if you don’t mention some interesting startups that could make the difference (I’ll probably do that in an upcoming post). Although, some primary vendors are showing very clear and valid strategy that can help their customers to seamlessly migrate to flash, the options are many and most of them are not coming from primary vendors at the moment. Thank you for this concise summary. For the HDS mid-range are you referring to AMS or HUS? I find the virtual controller design in HUS along with tiering and the ability of the 150 to use those newer flash trays makes for a pretty decent offering in that space; particularly combined with the ultra-dense 5U 84 disk trays full of 4TB drives. I’m referring to HUS (110,130 and 150). I know very well their characteristics, they are derived from AMS (x00 and x000). they are good and rock solid with traditional hard drives but they show limitations and bottlenecks regarding SSDs. Agreed. The ability now to run one of the tomahawk shelves on the 150 is more a marketing thing than viable consideration IMHO. Still, the ability to throw a few SSDs in there and still keep all the other goodies and established reliability while addressing some pain points could be valuable in some cases. Not a bad addition, but flash performance is certainly not a reason to consider an HUS. I didn’t mention whiptail because they are still in the middle of the acquisition and CISCO isn’t a primary storage vendor at the moment. How do these “primary vendors” compare to the new comers such as Pure Storage and Nimbus which according to my knowledge are both optimized for flash and offer more advance technologies such as in-line de-duplication and compression. You are right, but you need to wait a little bit. Personally I hope Pure survives the inevitable bloodletting of the next few years. Only then would I seriously consider them for anything critical. Nothing personal, but there is a reason you never see a rookie pitcher in the bottom of the 9th with a tie score. remote replica on Xtreme IO is done using VPLEX isn’t it? Vplex brings XtremIO more than a simple “storage based replica”, it provides distributed Active-Active data access. Storage based replica for XtremIO, a traditional Active-Passive solution, will be available in the next future. And what about the biggest Flash Vendor – Violin? VNX 2 could be quite nice solution and its completely strange to compare it with Dell. Not considering IBM who’s next to EMC and Netapp on Storage market at least odd and kinda unprofessional. Violin, can you consider Violin a primary vendor? really? in the last Q they sold to 32 new customer (all around the world). Call Violin “the biggest” is too much for me. In any case they’ll be covered in a future article about startups (when I’ll have time). 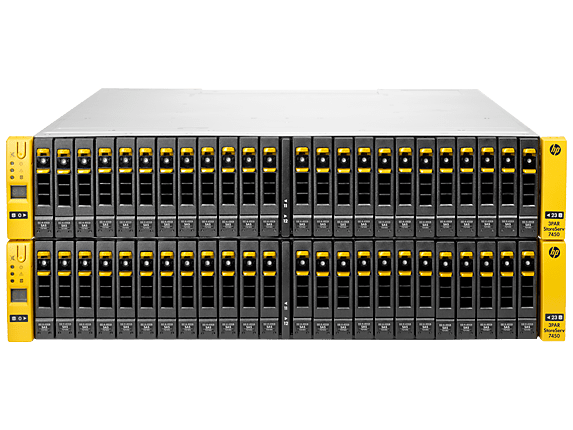 VNX2 is a traditional storage system, latest firmware updates make it slightly better about SSDs management but you can’t compare it with full flash arrays from the competition. 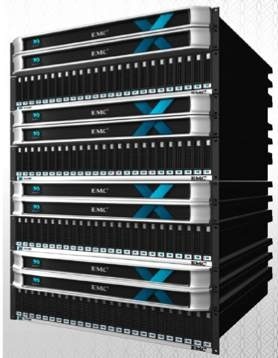 Even EMC doesn’t push the VNX-full-flash to its customers anymore. As I said, it’s not that IBM doesn’t sell storage… but it’s hard to find non-IBM server customers buying only storage from IBM. In any case I talked about IBM and its SSD solution. Do you know other full-flash solutions from them? What about X-IO (http://xiostorage.com/) a much cheaper and quicker alternative to the usual suspects you’ve listed?